Click a small image to enlarge. Biblical Paradise Coloring Book 44 Pages of line art pictures of Bible characters and Paradise scenes. 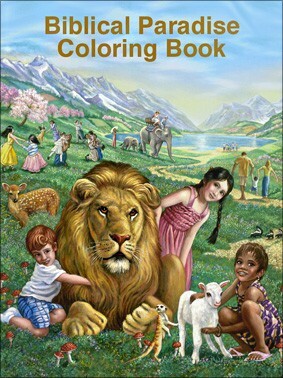 Size 9" X 12" There are no written words in this coloring book, just line sketches to color.